Hello, hello. Well, as you all know for the month of May I tried out a 28 day food trial hamper supplied by Diet Chef. For the month of April the penny dropped in that I was eating too many calories even with the amount of activity I do i.e walking 5 miles a day most days, swimming and weights. I went old school, back to basics, simple maths = eat less, move more. I decided that 1,200 calories should be sufficient enough to lose weight and I was right. Now sometimes I would go over, sometimes stick to it and very rarely go under. It is quite difficult to eat 1,200 calories and not go over. It takes practice. I really do need to log everything and that's why I love My Fitness Pal. I cannot recommend it enough for weight loss. You just have to make sure you fill it in on a daily basis. 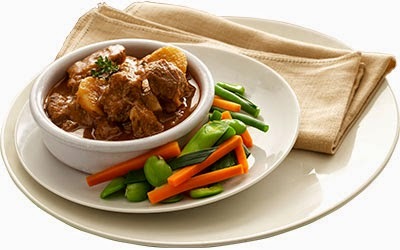 What I liked most about Diet Chef is that they have worked it all out for you. They have calculated the 1,200 calories. I didn't want to try out a faddy diet where it was shakes and what not (although you can chose a shake from their lunchtime option should you wish). Some of the breakfast options were porridge, muesli bars and granola. I have to say I loved the granola. The portions are measured out - my favorite was the treacle and pecan one. I didn't add milk as I don't like soggy cereal (but that's just me!). I wished I had ordered more to be honest. 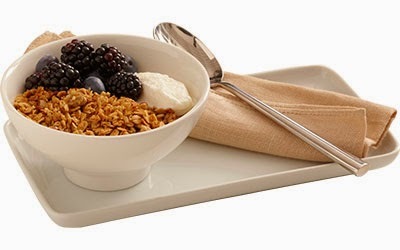 I could happily eat granola everyday. So breakfast got the thumbs up. I would usually have a banana and yogurt. 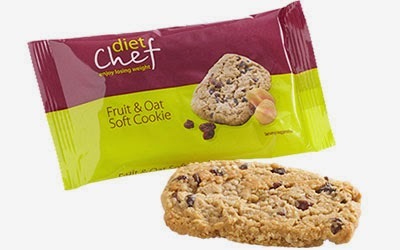 I also tried out the fruit and oat cookie which I did enjoy but felt a bit strange eating a cookie for breakfast but I did feel virtuous with the oats in this diet. They are well know to give you a slow release of energy and keeping you fuller for longer. 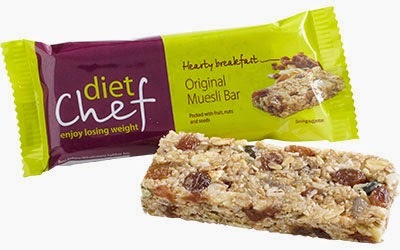 I also enjoyed the muesli bars (which were incredibly filling) and I'm not ordinarily a fan of muesli as a cereal. Now lunch was either soup or pasta for me as, like I said, I don't like milkshakes and I didn't want to do anything that resemble a slim fast type of diet. I really enjoyed all the soups. My friend commented that they smelt like a fancy brand one and I have to say the sweet potato and coconut was the business. I would add a slice of wholegrain or multiseeded bread with it. If I wasn't eating the soup for lunch I would have the pasta - the creamy tomato one. I was a bit like a pot noodle in that you just add water. This would be easy to take out if you were going out for the day providing you take hot water with you in a flask. Out of the two though I would chose the soup. I was already having a tin of soup for lunch or a wholemeal sandwich. There were oat type snack bars I could have but I also had fruit. For dinner, I had an array of meals - there was a wide range to choose from. I think I was quite lazy with the meals at dinner time. I didn't really add much to them i.e fresh vegtables. The meals are small but that's the point isn't it - you need to eat less if you're overweight! You've had your fill of food hence the diet! I think because I had reduced my calories prior to starting this trial hamper I didn't suffer with headaches. I did that back in April for the first couple of days so if you are used to eating more you probably will have a few headaches but that's normal. I did feel hungry between meals but, again, that's the point. I lost 5lbs of weight and 8lbs the previous month. I am sure, again, if you go from eating in excess of 2,000 calories to eating 1,200 then you would easily lose 8lb in a month. Someone has worked out your calorie allowance for the day including how much sugar, fat etc is in each meal. The meals do not have to be stored in the fridge - they are vacuumed packed so can say in the cupboard. Its not that expensive when you think you've got all your food covered for the month (their latest offer is £100 for 4 weeks) and if you are going to a slimming club you have to pay to weigh in and buy certain foods they recommend. How much would you spend on eating take-aways, nights out etc - £100 in the grand scheme of things isn't a lot. Diet Chef is on My Fitness Pal - I loved this - so I could double check my calories and what I could add i.e bread, vegtables etc. Its not faddy - no pills, no starving - just calorie counting. If you think you're not eating that much and can't understand why you're not losing weight this is a perfect reality check. We all eat too much. 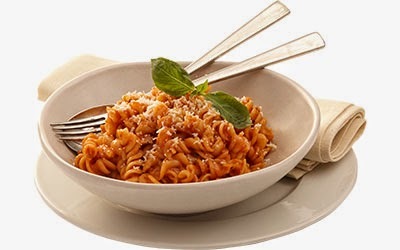 If you are going out for the day - having a soup or even adding hot water to pasta isn't ideal. 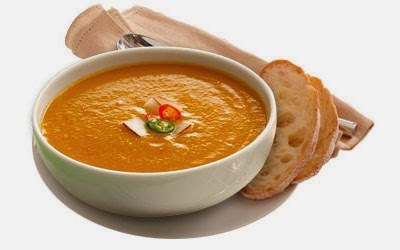 Also if it is hot weather you may not fancy soup/pasta for lunch. In those incidents I would say take a plain sandwich. I did miss eating food in its natural form e.g cooking a piece of chicken and eating differently from the rest of the family. Having said this, if I was having the diet chef sweet and sour chicken I would make the same for the rest of the family. This would probably just apply to me. I don't usually cook with garlic, lots of spices etc - my kids are a nightmare for normal food as is my husband. He noticed my breath was more onion and spice related. If you have a normal food eating partner then you'll be fine. Nothing that couldn't be sorted with chewing gum. Some days you won't fancy following the diet - however, this is universal with any diet is it not! I was given a 28 trail food hamper by Diet Chef free of charge in exchange for an honest review. All my views are my own and absolutely honest. Great review. I think I'd quite like to try this. I'm rubbish at calorie counting and like the idea of having it all done for me. Wow that is really impressive. I do like the idea of having everything sent to you prepacked so that you don't have to weigh and measure everything but it is very pricey. I would like to give something like this a try though to see if it worked for me. Did you? Did you really..